VACUUM TECHNOLOGY – Material Choices Based on Vacuum Range - Meyer Tool & Mfg. Vacuum systems are used in many industrial and research applications, such as the manufacture of semiconductors used in electronic devices and to provide the insulating vacuum in cryogenic systems that minimizes the incursion of thermal energy from external sources. When working with or specifying vacuum system components, the materials used can significantly affect the performance of the vacuum system as a whole, both in pump-down time and the ultimate pressure achieved. Vacuum systems are categorized into three, or sometimes four, general and somewhat arbitrary categories: rough vacuum, medium vacuum, high vacuum, and ultra-high vacuum. Medium vacuum is frequently just combined with and referred to as rough vacuum and is treated in such a manner for the purposes of this article. Common elements, that are solid at room temperature, but with high vapor pressures, include zinc, cadmium, sulfur and phosphorous. Any materials containing these elements should be used with caution in the high and ultra-high vacuum ranges and be avoided if a bake-out is required. Figure 1 illustrates the differences of several elements with high versus low vapor pressures. Figure 1. 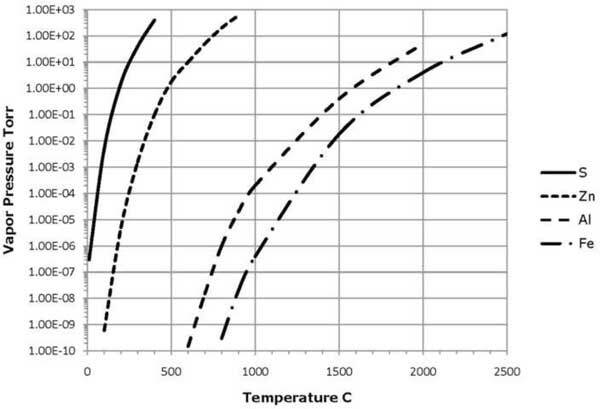 Vapor pressure of select elements as a function of temperature. Most polymers have relatively high permeability to gases and rate of outgassing and are avoided in ultra-high vacuum systems all together. A bake-out at elevated temperature can significantly reduce the outgassing. Figure 2. 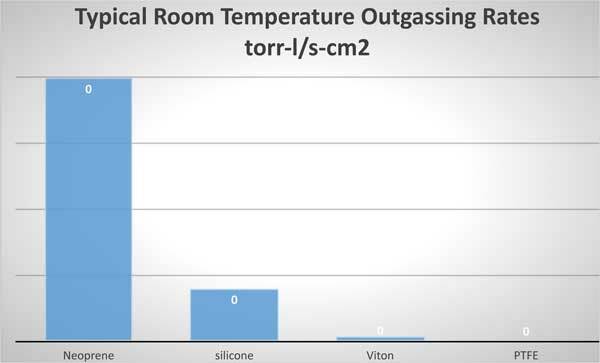 Typical Outgassing rate of select polymers at room temperature. Material choice is not so critical in this vacuum range. Structural materials successfully used include aluminum alloys, stainless steel, carbon steel, glass, ceramics, polymers and composites. Elastomeric seals are generally used as well as vacuum grease in some cases. Processes such as vacuum distillation are conducted in this range, and as such, liquids may even be present in the vacuum space if it is required by the application. Material choices for high vacuum are more important than in the rough vacuum range. Aluminum alloys and stainless steel are the preferred materials of construction but many others have been used successfully, such as copper and carbon steel. Brass is sometimes used as well, particularly in fittings and other small components. Elastomeric seals are typically used, with Viton, Buna and PTFE being common choices. Epoxy seals can be used to join components that do not need to be separated. Composites, such as G10 are used as well. Polymers and composites are also used as spacers and stand-offs in the insulating vacuum spaces of cryogenic systems. Stainless steel is the preferred material of construction and is used almost exclusively in ultra-high vacuum systems. Austenitic stainless steels 304 and 316 are commonly used while free machining 303 is avoided due to its much higher sulfur content. Titanium, niobium and nickel are also used but are more expensive and more difficult to fabricate. Nickel is avoided when magnetic susceptibility is an issue. Electropolishing is commonly used to passivate surfaces, which reduces the sorption of material when the system is open to atmosphere and subsequent desorption into the vacuum space when the system is under vacuum. Bake-out of the system is also used to reduce outgassing, thus the materials used must be able to withstand bake-out at elevated temperature. Materials to avoid include brass, zinc and cadmium due to their high vapor pressures and all polymers due to high outgassing rates and high permeability to gasses. Metallic seals are used in ultra-high vacuum systems with copper being the preferred choice. Indium and aluminum and stainless steel seals of various designs are used as well. 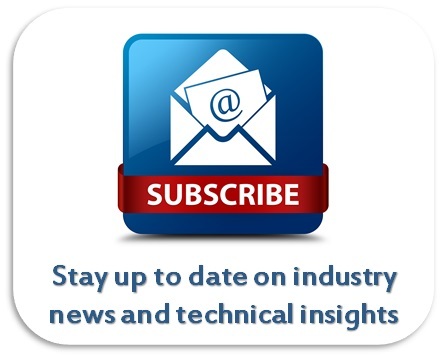 In summary, this article presents some general information regarding materials used in vacuum technology based on the vacuum range at which the system will be operated. Of course, material selection will also be dictated by the particular use of the system, and must be considered accordingly. Finally, material selection becomes increasingly important as the desired level of vacuum increases or the ultimate pressure decreases. With 45 years of experience in fabricating cryogenic, vacuum and pressure components, Meyer Tool & Mfg., Inc. is well versed on choosing the appropriate materials that enable your vacuum system to meet performance expectations. 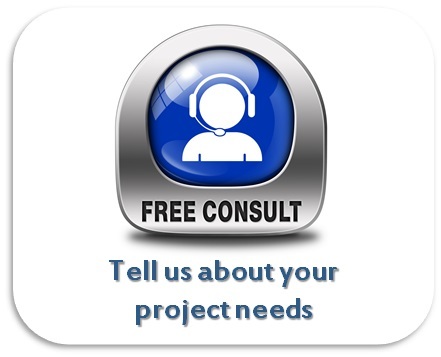 It is one of the ways we apply our customer-centric reduce project risk process from project concept to completion. We are committed to achieving the lowest total cost of ownership by providing the best overall value to our customers; potentially not the lowest first cost, but ultimately achieving the lowest final cost. We collaborate to provide best solutions and add value to your products in powerful, profitable ways.